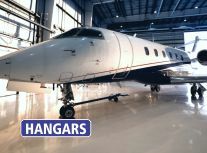 Installing a concrete floor or restoring an existing concrete floor, heavy-duty industrial coatings like Epoxy, advanced Acrylics or Urethanes will provide beauty and durability and give your facility a brand new look. Why spend valuable financial resources pouring a new concrete floor when you can rebuild and improve your existing floor for half the cost. MARTENS has been installing epoxy floors for more than 25 years. 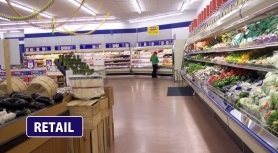 Our experience is your assurance of a durable, long-lasting epoxy floor. Our flooring system will not only provide a new look to your facility, it will extend the life of your floors and reduce your maintenance & cleaning costs. 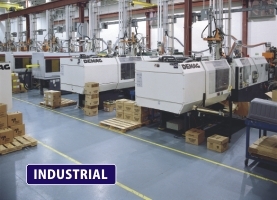 Let us help you determine the right solution for your commercial, industrial or institutional epoxy floors. 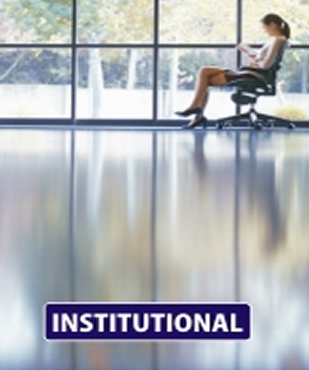 You can depend on us to deliver quality service, on time and on budget. We guarantee it. Dur-A-Flex Epoxy and Ardex Products. "Once the job started John Martens kept in touch, by phone or at the job site. He recently made a follow up inquiry about the floor. I was happy to tell him the epoxy floor still looks great, the melted snow is easy to clean off, and it really helps keep the new hardwood floors free from scratches. I just wanted to thank John and the MARTENS team for the outstanding job they did on my garage epoxy floor last spring. They definitely take pride in their work. " 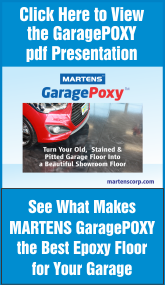 Let the MARTENS epoxy floor experts turn your stained, pitted garage floor into a beautiful showroom-quality floor with our durable GaragePoxy coating. Don't mistake our GaragePoxy coating with epoxy based paints sold at big box discount stores. GaragePoxy is an industrial grade epoxy, engineered to provide long lasting beauty and protection for your garage floor. When it came to improving the Yorkville, NY fire department garage floor, the contractor of choice was MARTENS. The durable industrial grade epoxy floor installed by MARTENS, not only protects the existing concrete floor from salt damage and wear, it provides a safe non-slip surface that is very easy to maintain. Functionality is improved as well. 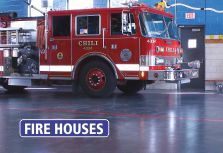 Using 3 different color epoxies and incorporating accent stripes, designated parking areas for each fire truck are clearly definined. Yorkville Fire Department Chooses MARTENS.